I found the best sloppy joe recipe here. Go check out her recipe first and then come back and see how I changed a few things because, well that is how I roll. Below is how I made it. 1 bag frozen black beans - rinsed. I would guess a small can would be about right. Saute onions, pepper and carrot on low heat until soft and translucent. Add the garlic and stir until it begins to soften. Add meat and kick up heat to medium. Let cook until meat is completely cooked through. Add salt, pepper, tomato paste, worcestershire sauce, frozen cubes, beans and water. Stir until it is all mixed in and begins to create a nice sauce. Add the brown sugar and vinegar and prepared mustard if using. Cook for about 5 minutes allowing all the flavors to meld together. Add additional salt and pepper to taste. Then, if you are amazing put on homemade buns, if not buy some better, heavier buns than the nasty white stuff and pull out some of the bread to make a pocket, put your sauce in there - then it is NOT SO SLOPPY! It was a little watery so I let it cook for like 30 minutes to reduce. This is so yummy. Never again will I buy sloppy joe mix in a jar, can or bag! So, do you change every recipe too? Why? I do it mostly because of food allergies and to eat healthy. Submitted to Real Food Wednesday! and Beauty and Bedlam's Tasty Tuesday also the Ultimate Recipe Swap at Life as Mom and Food Renegade's Fight Back Friday. 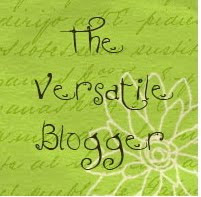 Go check out all the wonderful links at these blogs. i love the changes you made to this. If I thought I could get away to adding a leafy green and still have my hubster eat it...i would! It was bad enough I weened him off of his beloved manwich. Thanks for telling me about the link! I'll admit, when I first saw your picture I thought it was a cookie. LOL! But still, seems like a great recipe. :-) Thanks for stopping by my "Balance Beam" SITStah! bwahahaha that is funny Charlene, if you only knew how many pics I took to get that one. My first real try at "food pics"! Hi, Christy! I don't understand Western foods, but yes, I do change my recipes now and then. One of the consequences? They taste worse =D But it's fun improvising with recipes. That looks good! Great idea to cook and freeze squash and kale. I usually stir fry kale and then freeze it. I've not frozen squash before but will have to give it a try next fall. 730 in 365 can you rid yourself of so much? Crab - even better the 2nd time!